‘Tis the season for archaeological digs. At Ashkelon, the Leon Levy Expedition runs from June 8 – July 19 this year. It is sponsored by Harvard’s Semitic Museum, Boston College, Wheaton College, and Troy University. I have two young friends, Trent and Rebekah, who are working in the dig. They will not be writing up any marvelous new discoveries that might be made. This is always reserved for the directors of a dig to announce, and then later to publish. My friends are sharing some general information about their participation in the dig as time permits. They are there as part of Dr. Daniel Master’s team from Wheaton College. Trent has allowed me to use one of his photos of Grid 51. This is the Grid he has been working in during the past week. He informs me that this is about 1/4 mile southwest of the Canaanite Gate, and belongs to the Persian period. 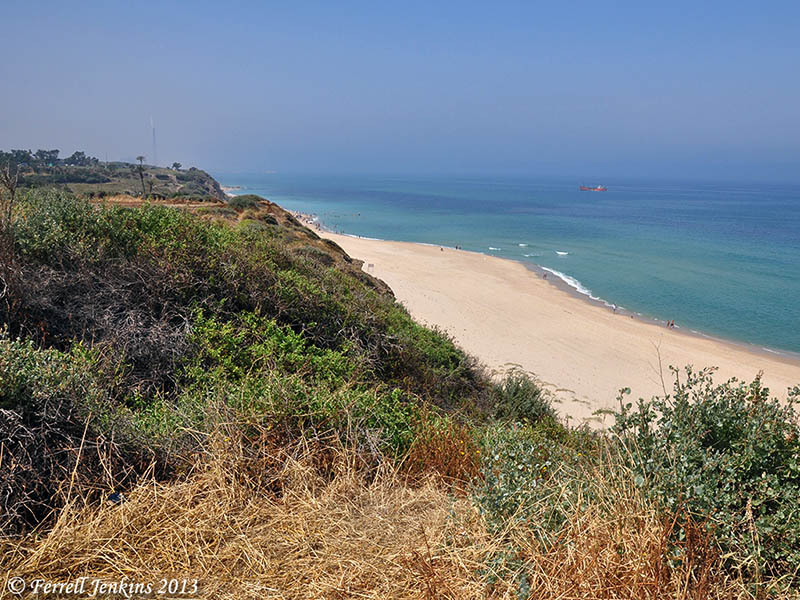 At the time Ashkelon was an important port aligned with Tyre and occupied by Phoenicians. Grid 51 of the current Ashkelon excavation. Photo by Trent Dutton. Notice that the Mediterranean Sea is visible to the west. The photo below shows the view south toward Gaza and Egypt and may include Grid 51. View south along the beach at Ashkelon. Photo by Ferrell Jenkins. According to 1 Samuel 6:17 there were five important Philistine cities: Ashdod, Gaza, Ashkelon, Gath, and Ekron. Ashkelon had a long history including occupation by Canaanites, Egyptians, Philistines, Phoenicians, Greeks, Romans, Byzantines, Muslims, Crusaders, and finally by Mamelukes. If you would like to follow what Trent and Rebekah are able to share, see their blog here. 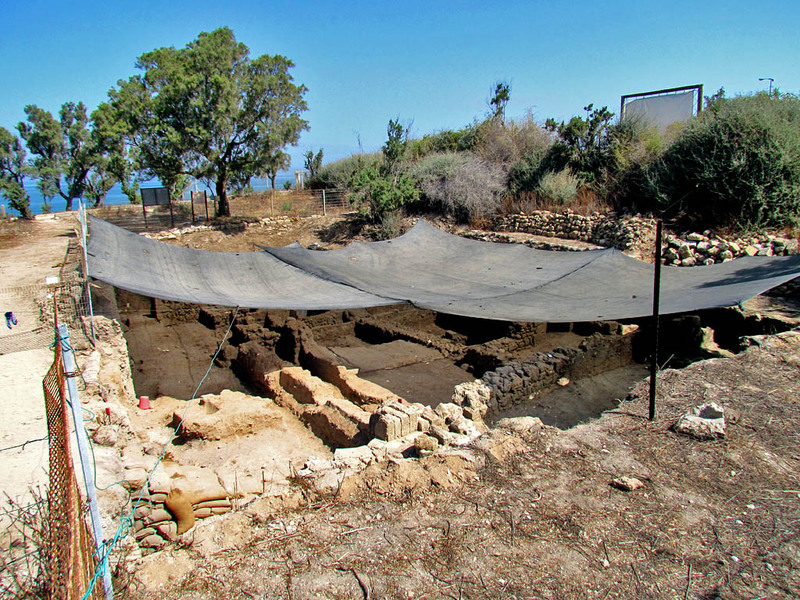 This entry was posted in Archaeology, Bible Places, Bible Study, blog, Israel, Old Testament, Photography, Travel. Bookmark the permalink.